A handicap gives an indication of the golfer’s ability and allows players to compete against players of different standards on a level basis. It involves giving each player extra shots (her handicap) which when subtracted from her score should result in a nett score around the course’s standard scratch score (this is what a scratch golfer might score). For example, if the standard scratch score of a course is 72 and your handicap is 32, then you should be able to play the course in around 104 shots. The Council of National Golf Unions (CONGU for short) is the official body that looks after the handicapping system for all golfers in Great Britain and Ireland. Their website contains a lot of useful information about CONGU and the handicapping system. In particular, the pages on Obtaining a CONGU Handicap and Junior Handicaps will help you understand how to get a handicap. 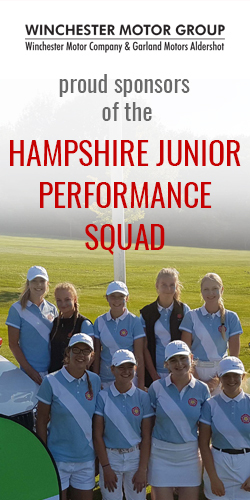 You will need to have a CONGU handicap to play in most competitions, but before then it is possible to participate in the competitions HLCGA run as part of our Futures Training Days.